FacilitiesThe hotel offers an extensive range of services and facilities and is the ideal place to stay for business travellers and holiday makers alike. 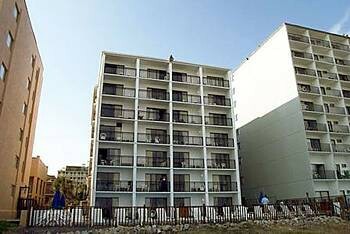 The hotel offers internet access and wireless internet access.RoomsGuests will also find a balcony in most rooms. Many accommodation units offer beautiful sea views. The accommodation units each feature a double bed. All rooms feature a kitchenette with a fridge and a microwave. An ironing set is also available to guests. Convenient features include a telephone and a TV.Sports/EntertainmentSport and leisure options are offered by the hotel and third-party operators. Both an indoor and an outdoor pool are available for swimming. The hot tub offers revitalisation.